Eilish Joyce has over 14 years’ experience in the PR industry and specialises in corporate communications, reputation management and B2B communications. She works with organisations focused on the domestic market and international businesses that operate across numerous geographies. Joyce currently works across a range of clients including Alkermes, Bagnall Doyle McMahon, Baxter, Grant Thornton and Primark. Joyce joined FleishmanHillard from a leading international strategic communications firm where she advised clients across an array of sectors including telecoms, biopharma / life sciences, energy and financial services, both small and medium sized businesses, as well as multinational corporations. She has extensive experience working with C-suite executives within client organisations advising on communication strategy and implementing successful campaigns by working closely with internal marketing and communications teams. As a result, Joyce has established exceptional relationships with media and industry stakeholders. She has also advised companies on both internal and external strategies to manage complex communications or reputational issues including M&As, IPOs, restructures or divestment of business units. 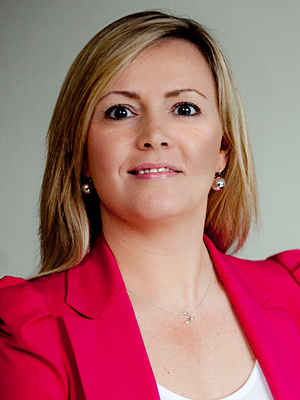 Notable companies and brands that she has worked with include Airtricity, Barclays Bank Ireland, Centra, Cisco, eir, Elanco, Cisco, Fountain Healthcare Partners, Genable, HP Ireland, Intel, Janssen, KPMG, Mainstay Medical, Opsona Therapeutics, Samsung, Sentenial, Telecity and Ulster Bank. Joyce holds a Bachelor of Business Studies in Marketing from Galway Mayo Institute of Technology and a Post-Graduate Diploma in Public Relations from the Fitzwilliam Institute.